The urgency to address poor nutrition in India, especially among children, adolescent girls and women is compelling, and re-confirmed in virtually every survey — from NFHS-4 in 2015-16 (the latest available information), to the Global Nutrition Report 2016 and the Global Hunger Index (GHI) 2017, which ranks India at 100 out of 119 countries, with a low overall score of 31.4. Among children less than 5 years, wasting (low weight for height), continues to be 21% in the 2017 index — it was 20% in 1992. There has been a reduction in stunting (height for age) – from 61.9% in 1992 to 38.4% in 2017, reported in the GHI 2017. Mortality among children less than 5 years old has declined to around 5% from 11% during the same period, according to both the GHI and the NFHS. However, 25% of India’s children less than 5 years old are still malnourished. Add to this the fact that 190.7 million people in India sleep hungry every night, and over half of adolescent girls and women are anaemic, and the conclusion is obvious — despite a 7% compound annual growth rate over the last decade and the various programmes to improve nutrition, levels of under-nutrition are unacceptably high. This grim reality has rightly lead to a renewed emphasis to address the various forms of poor nutrition – stunted, wasted, anaemic and underweight children; anaemic girls and women, especially in the 15-49 age group. The recently announced flagship program of the Ministry of Women and Child Development will be anchored through the National Nutrition Mission (NNM), or Poshan Abhiyaan, with its own specific budget of ₹9,046 crore and a proposed World Bank loan of $200 million, to ensure convergence among the various programmes of the government. Additionally, NITI Aayog has worked on a National Nutrition Strategy (NNS), isolated the 100 most backward districts for stunting and prioritised those for interventions. 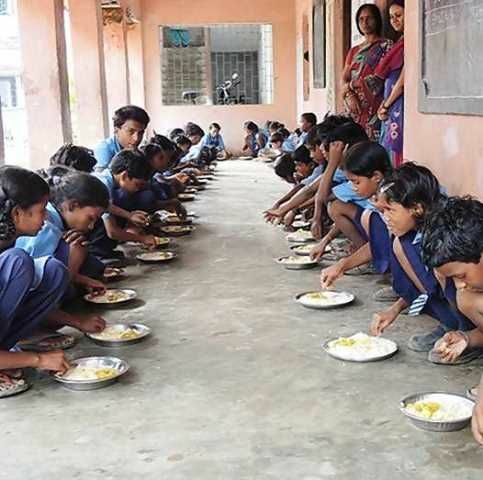 A cynical view would be that we have seen such declarations before – after all, the special attention to nutrition was highlighted in 2008 when the Prime Minister’s National Council on India’s Nutrition Challenges was constituted. A detailed report, “Addressing India’s Nutrition Challenges”, was submitted in 2010 by the Planning Commission, the convergence of an extensive and multi-sector consultation. But nothing changed significantly. The optimistic view says that exploring new models to address the structural and systemic issues on a priority basis, learning from what has worked or not, and single-minded focus on implementation will be critical to delivering better nutritional outcomes and meeting the Sustainable Development Goals, to which India is a signatory. Additionally, initiatives like Swachh Bharat Abhiyan, where implemented, will contribute positively to nutrition outcomes, and well-structured public-private partnerships could be the catalyst. Seen in this context, the overhaul of capacity and capability in three existing programmes, designed to reach populations most at risk, should be the first priority — namely, the Integrated Child Development Services (ICDS), with its network of 1.4 million Anganwadi Centres, reaching almost 100 million beneficiaries who include pregnant and nursing mothers and children up to 6 years; mid-day meals (MDM) that reach almost 120 million children in schools; and the Public Distribution System (PDS) that reaches over 800 million people under the National Food Security Act. The National Nutrition Strategy (NNS) has set very ambitious targets for 2022 and the Poshan Abhiyaan has also specified three-year targets to reduce stunting, under-nutrition and low birth weight by 2% each year, and to reduce anaemia by 3% each year. For purposeful action, it is imperative to have common goals and metrics for improving nutrition, which can then be disaggregated by year, State, district, etc., into a nutrition dashboard, with metrics that are clear and measurable and a real-time tracking mechanism, much like we track economic data. It is interesting to note that the National Nutrition Monitoring Bureau (NNMB), established in 1972, was dissolved in 2015. Both the NNS and the NNM have recognised the criticality of working collaboratively across Ministries; yet both are silent on the constructive role that the private sector, development agencies and civil society can and must play in realising these ambitious goals. Altering the fundamentals of poor nutrition requires multiple and sustained interventions over a period of time — increased availability and accessibility of nutritious food, potable water, hygiene and sanitation, primary health care, etc. The approach, commitment and resources therefore have to be inter-generational, multi-sector, multi-dimensional and multi-year. To simplify a complex issue, the challenge for India is to simultaneously address insufficient and poor diets, inadequate hygiene and sanitation and better management of disease and infections. Success in this domain will be driven by coordinated action on multiple fronts, but there are at least three urgent priorities. One, to adequately re-engineer the ICDS, MDM and PDS for greater effectiveness. This is an ideal initiative for public-private partnerships as the strength of good private sector companies is in creating and designing frameworks, structures, processes and metrics for action, implementation and tracking. For example, involving the best nutritionists to work with local communities on calorie and nutrition dense supplementary foods, using easily available local ingredients that are within the ICDS and MDM budget guidelines, and produced by self-help groups, could easily be anchored by the relevant private sector and development agencies, working with State governments, and considered a corporate social responsibility initiative. The key advantages of this disaggregated supply model are that it engages local communities, generates employment and ensures minimal leakage as it works with and inside the community. This will also ensure that space and other constraints of lack of hygiene at Anganwadi Centres do not become impediments in the supply of nutritious food. Two, to mandate and scale staple food fortification comprising edible oil, wheat, rice and dairy products, in addition to salt. There is persuasive evidence from several countries of the efficacy and cost-effectiveness of large-scale staple food fortification to address “hidden hunger” or micro-nutrient deficiencies. The effectiveness of iodised salt in significantly reducing iodine deficiency is well-established in India empirically. The success of micro-nutrient fortified food is that it does not entail a change in behaviour. Considerable work will also have to be done to make fortified rice and wheat available through the PDS. This requires addressing the supply chain capability to deliver — another excellent PPP initiative, that has been piloted in several States for edible oil and wheat flour and can easily be replicated. A case in point is the mandate of July and August 2017 to use fortified oil, salt and wheat flour in the ICDS and MDM by the Ministries of Women and Child Development and Human Resource Development, respectively. In the absence of coordination with industry to create an effective supply chain, this proposed intervention will be another missed opportunity. Mandatory fortification with micro-nutrients often sparks an emotional debate, and the way to think about it is that these universally consumed staple foods become the carriers of vitamins and minerals that people need but do not get in sufficient quantity from the food they consume. Three, multiple campaigns designed to inform, communicate and educate on nutrition-specific and nutrition-sensitive behaviours like breast feeding, diet diversity, hand-washing, de-worming, safe drinking water, hygiene and sanitation. Nutrition has to be “marketed” and made interesting, engaging, simple and personally relevant — this is an expertise where the private sector can meaningfully contribute. Nutrition is complex, and therefore its delivery must be simplified through greater awareness and actions. The delivery models must be collaborative across domains, with clear decision rights and hard-wired processes, enabled by technology and a significant investment in strengthening people competencies. Unless economic growth improves social and human development, it cannot be sustained. Equally, economic growth itself is impeded by low levels of productivity in an under-nourished and malnourished population. Uninterrupted democracy for the past decade has inspired hope that Pakistan is changing and that history might be a false guide to a new type of civil-military relationship inside Pakistan. The peaceful transition to a new electoral force represented by Imran Khan’s Pakistan Tehreek-e-Insaf is seen by some as further proof of an evolving system where civilian politicians, by drawing their power from mass electoral politics, are emerging from the shadow of an army-dominated state. And since civilian politicians do not have any apparent stake in confronting India, democratisation in Pakistan would eventually transform the geopolitics of the sub-continent. Is there any basis for such an assessment? We must introduce a little more complexity into the enticing civil-military model that sometimes underlies Indian thinking. Pakistan’s tryst with democracy has always been a complicated affair. Zulfikar Ali Bhutto’s Pakistan is the closest we can trace to a genuine civilian advantage over the military structure. But the circumstances were unique. The Pakistan army had been thoroughly discredited after its defeat in the 1971 war. And yet, despite such favourable conditions, India’s quest to re-arrange the decks within Pakistan utterly failed. Bhutto was able to use his weakness and generate goodwill — and hope for a new Pakistan — in Delhi to soften its post-war posture. Ironically, one of the strongest civilian leaders in Pakistan’s history did more to salvage the Pakistan army — extracting the 90,000 prisoners of war from India and territorial losses on the western front — than a military dictator has ever achieved. Nevertheless, the Pakistan army learned its lesson and in the 1980s consciously cultivated a new network of politicians to counterbalance the Pakistan Peoples Party (PPP). As Christophe Jaffrelot notes, “From the start of his career in Punjab under Zia’s patronage until the election campaign of 1990, [Nawaz] Sharif owed his political success wholly to military support. But even if he was the most famous client of the security establishment, he was not the only one to enjoy its protection.” Similarly, Imran Khan should be viewed as another strategic investment by the deep state that dislodged the erstwhile two-party structure monopolised by the Pakistan Muslim League (N) and the PPP. If an assertive civilian political elite could send the Pakistan army back to its barracks, Indian policymakers would welcome and even encourage that trend. But any hypothesised civil-military struggle rests on two fundamental assumptions. First, the civilian elite must be genuinely committed to re-defining Pakistan’s identity towards a more positive nationhood. Many observers recognise that there is a general anti-India identity problem in that Pakistani nationalism coheres itself by projecting an opposite “other” — a secular India. This negative identity has been historically cultivated and sustained by the military establishment to fuel its own vast political economy privileges, and to ensure that Pakistani nationhood does not lose its sense of purpose. But the last decade of democracy has shown little momentum towards a progressive discourse or quest by civilian leaders to question the idea of Pakistan. When in power, politicians have pursued far more modest goals. Rather than re-imagining alternative identities for Pakistan, they seem mainly interested in self-interest and survival. Second, it is presumed that the army cannot game the civil-military system or successfully neutralise any challenge to its authority or rival conceptions of the national interest. The Pakistan army’s successful co-option of institutions like the judiciary, the election commission and the media shows that it actually relishes its role as the unaccountable arbiter of Pakistan’s overall political destiny, but without being at the forefront of state governance, which constrains its hand and taints its prestigious position in the story politic. It is instructive that a October 2017 Gallup survey found that 82% of Pakistanis trusted their army more than any other political institutions even as a majority (68%) welcomed democracy as a political system. Such favourable ratings would quickly disappear with martial rule, as the army discovered first-hand during the Pervez Musharraf years. On the civilian side, there is no evidence to claim a defiant struggle with the military establishment is in the Pakistani politician’s conception of her or his own interests. In fact, more often than not, the civilian political elite is eager to compromise and cut deals with the army, especially if that enhances its policy agency in the non-security spheres. Pakistani scholar Ayesha Siddiqa’s thesis of a symbiotic military-civilian relationship where politicians rarely question the primacy and vanguard role of the army and both groups collectively profit from the systematic plundering of the economy remains more plausible than ever before. The recent election in Pakistan suggests a more sophisticated system — referred to as a ‘hybrid state’ — has come into being whereby the military establishment, acutely conscious of the costs of martial rule, has promoted an alternative framework so that there is a ‘buffer’ between the army and society. The recurring backlash and legitimate grievances of the people are borne by expendable politicians absolving the real authority behind the scene from any responsibility for governance and developmental failures. The political parties and civilian elite seem to have embraced their role in this metamorphosis of Pakistan’s “managed” or “guided” democracy. The last thing Varghese Thalikaparambil, 72, probably saw on that Thursday night of apocalyptic rain was water cascading into his house at Manikandanchal, on the banks of the Pooyamkutty river —a tributary of the mighty Periyar in Kuttampuzha panchayat along the eastern border of Kerala’s Ernakulam district. It was August 9. The fast-swelling river denied him an early burial. Shortly after he was moved from his flooded house to the relative safety of a church nearby, the waters came for him. His story had to be put on stacks of tables and beds before a few brave men took it across the ferocious currents on a makeshift raft the next morning. By then, just over an hour’s drive from there, water from the Idamalayar reservoir had already cut loose, through four spillways, into the Bhoothathankettu barrage downstream to gnaw at the densely-populated suburban regions of of Aluva, Paravur and Kodungalloor. Before long, the main strand of the Periyar was also rushing down the spillways of the Cheruthoni dam, part of the mammoth Idukki reservoir system. It merged a few kilometres downstream with the Perinjankutty river and the tail water of the Neriamangalam powerhouse. It then charged the floodgates of the Bhoothathankettu and heaped misery all around, on its way to the Vembanad lake and the Arabian Sea. “The river has reclaimed its lost self,” says Konthalam, 79, pointing to the swirling waters forcing their way through the fields, houses and chapaths (low-level bridges) a few kilometres down the Cheruthoni dam at Thadiyampad. As a young man, he had travelled from his native Chelliampara to Cheruthoni to work at the dam site. He married a girl from the locality, purchased an old thatched house on the barren banks of the now-dammed river, and settled here in 1978, two years after the dam was commissioned, doing odds jobs as a lorry cleaner and head load worker at the bus stand. “Before the Periyar river was dammed, during summer, we would cross her benign waters on bamboo rafts. But the monsoons, in the last quarter of the year, would make her dangerous. It is very unusual for her to turn ferocious during the southwest monsoon, at this time of the year,” he says. In the 1980s, when wasteland dwellers were given patta (title deed) for the patches of land they lived on, he got ownership of 20 cents of land and possession of much more. “All these houses down the slope were built on land sold by me,” he says, pointing to the submerged structures. “The land was rocky earlier and we had to level the terrain to build.” With the Periyar dwindling to a trickle at some distance, its banks receded, and more houses were built on the slopes. Crops such as rice, tapioca, coconut, black pepper and areca nut flourished in the lowland abutting the stream. Over the years, panchayat roads were built below the electrified houses while chapaths connected the villages on either side. “Never before have we seen the Cheruthoni dam — a part of the Idukki reservoir comprising the Cheruthoni, Idukki arch dam, and Kulamavu dam — fill up in just two months, least of all during the southwest monsoon. But this year, it has been raining excessively since July, and there was talk about the shutter gates of the dam being raised to release water. When people were served notices to evacuate, no one did,” he says. “The dam had released its waters in 1981 and 1992 as well. It is typically done when the water level is near full reservoir capacity, in order to ease the pressure on the structure, and there had been no damage on those occasions. This time around, after the second and the third gates were opened in quick succession, the surging waters forced people to flee their homes, leaving everything behind, and take shelter in their kin’s houses in the upper reaches. On the earlier occasions, too, they had opened all the shutters, but had done so only for a short duration. The level to which the gates are opened depends on the quantum of water to be let out. This time the quantum was more than ever before. The rains have been incessant. The shutters have remained open for over a week now and the river has washed away the bridges and roads, gobbled up crops, and destroyed houses and livelihoods,” says Konthalam, as he hurries up to his unplastered house, built under a housing scheme from the panchayat. Water was lashing the retaining wall of the house, below which lay buried the sole investment and possession of Asha and Santhosh, who are in their 40s – their house on five cents of patta land. The couple, along with their children, had sought shelter at Santhosh’s parental home a few levels up the sodden and grassy slope. “We have nothing more to lose and so don’t care about what awaits us tomorrow,” says Asha. Her husband is a head load worker in the market. Yusuf, nursing a fractured leg, was the only one to have left his home before the floods came. A little distance away was Beena’s house. She had built it using the compensation she had received following the death of her teenage daughters in a landslide one morning in 2013. Most landslides in the region have happened in the early hours. “I still remember that it was the 27th night of your Ramzan,” she says, glancing towards Konthalam. “It was a rainy day. Our house was at a level below the road and a landslip slammed a roadside building and a portion of the retaining wall into the room where my daughters were asleep. They were 18 and 15 years old. Thrown onto the chapath, both died on the spot,” she says, flashing a torch on the photographs of her daughters and husband, Jose, who succumbed to cancer five months ago. Her son, Joby, stopped studying after Class 12 and is looking for a job. At Vellakayam, across the river from Thadiyampad, people felt marooned. Their access to Cheruthoni town, hardly a kilometre and a half away, was cut off following the collapse of the chapaths. They would now have to take a longer route to get there. “How do we send children to school now?” asks Lincy, a resident of Maryapuram panchayat. For hundreds like Lincy, an immediate concern has been the loss of crops and livestock. “Most of us have small land holdings in the hills, but wild animals would raid the crops. It’s easier to grow crops and vegetable and rear cattle close to the river. Upland people depend on these cultivators for their green grocery,” she says, as personnel from the National Disaster Response Force (NDRF) struggle to negotiate the river. They are trying to feed a family’s livestock trapped on a landmass surrounded by water. The Periyar in spate is even more frightening at Aluva, where it splits into two, as hundreds of people like Lakshmi, a resident of Eloor municipality, realised. On August 9, she opened the doors of her house to have water rushing in. In no time, it soon engulfed her house up to the roof, giving her barely enough time to make it to a relief camp with her ration and Aadhaar cards. “We built our lives little by little, and now we have to start from scratch,” she says. At first, it wasn’t the dam-induced floods but landslides and flash floods that wreaked havoc across the State, especially in Idukki, Wayanad and Kozhikode. At a relief camp at St. Mary’s Church Parish Hall in Keerithodu, Idukki, most of the 450 people sheltered are victims of landslide. “From a place known locally as ‘Cutting’, up to the Periyar Valley in Idukki-Kanjikuzhy panchayat, the land has been gouged out by the rain. Two people, who shifted to safety ahead of the opening of the dam, died in a landslide. Elsewhere, people ran out of their homes on hearing a loud noise, thinking the dam had collapsed, as we had informed them about the plan to release water. Now they can’t go back to their homes. The houses are either partially damaged or filled with rubble, and the approach roads have been destroyed. More terrifyingly, wherever the land slid, water gushed forth from the soil all around. Everyone is scared to return,” says Tincy Thomas, member of the Anjukudy ward of the Idukki-Kanjikuzhy panchayat. Idukki-Kanjikuzhy, along with Vazhathoppu, Maryapuram, Konnathady and Adimali panchayats, has been hit the hardest by the monsoon fury. “It was early morning when a huge heap of debris hit my house. I ran for cover, and only later I realised that it had killed my neighbours, Agasthy and Eliamma,” remembers Maniamma Chandran, shuddering at the recollection. “If it continues to rain like this, there won’t be any soil around the boulders in Idukki,” says Shijo Thadathil, member of the Vazhathoppu panchayat. “There have been over 30 landslides in our panchayat alone. Shops at the Cheruthoni market have been washed away in the water from the dam. There aren’t many bridges left and those still standing are rickety. This is a crisis and we don’t know what’s happening, as there’s a power outage,” he says. 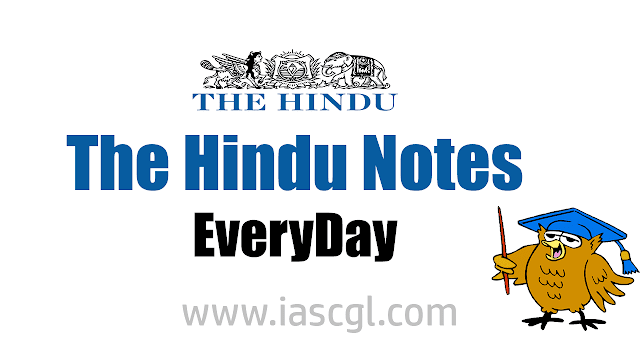 The southwest monsoon, which has pounded Kerala with 29.5% excess showers as of August 15, came in spurts, and the dams, which were thought to be adequate as flood hazard management instruments, stored the water. “But there was something unusual about the showers this time. We recorded an all-time high inflow of water into the reservoir lake and also the highest daily rainfall in its catchment area. The phenomenon is cyclical and reminiscent of the great flood of Malayalam Era 1099 (1924),” according to an official of the Kerala State Electricity Board (KSEB), which operates the reservoir. Back then, the showers had lasted over three weeks and while official figures are unavailable, over 1,000 people are said to have perished. James Wilson, Kerala’s special officer for Interstate Water, contends that the situation now is a repeat of the 1961 floods, the second biggest to hit the State in a century. Had it not been for the ongoing devastating spell of rains that have forced the opening of 36 dams (13 of them on the Periyar) and the evacuation of over 1.5 lakh people as of August 15, it would have been manageable. A dam safety official, on condition of anonymity, says that the dams did play a role in managing the floods, but the continued downpour that exceeded all predictions has turned the situation awry. It was the flood-prone, low-lying Kuttanad in central Kerala that was the first to bear the brunt — it became inundated in early July. Landslides had already begun to scar the hilly areas, especially in Kozhikode and Idukki. The Idukki and the Idamalayar dams were barely at 50% of their storage capacities in mid-July. But in a matter of a fortnight, they were filled to the brim, triggering a debate on whether the KSEB was waiting to monetise the monsoon bounty. The rumour was that the KSEB was reluctant to release water as more power generation meant more money. But as the shutters of the dams were opened one after the other and increased outflow, the situation soon turned grim, leading to a red alert across the State. In Wayanad, people complained about the KSEB not issuing an alert before spilling water from the Banasurasagar dam. Anger over inadequate evacuation time was palpable downstream from the Mullaperiyar dam as well, where people felt they had not got much notice before Tamil Nadu opened the spill gates in the early hours of August 15. Spill from the Idukki reservoir was increased to accommodate the inflow from Mullaiperiyar. On the night the spill gates of the Mullaiperiyar were raised, revenue and disaster management officials had a sleepless night. Control rooms and rescue teams operated round the clock. Social media groups and volunteers chipped in to assist people marooned in the floodwaters, most of them in Pathanamthitta and Ernakulam. Meanwhile, in view of an even more ominous weather prediction, reinforcements were called in to augment rescue and relief operations, according to P.H. Kurien, Additional Chief Secretary. The overall losses due to the disaster, at last count, were estimated at ₹8,700 crore, and are still mounting. Tourism has been badly affected. In Munnar, the blooming of the Neelakurinji flower (Strobilanthes kunthianus), which occurs every 12 years, was expected to draw in the crowds. The town remains cut off now, with the spill from the Madupetty dam destroying livelihoods. “Already reeling from the Nipah scare in June, the tourism industry has been hit again —this time by the floods. Kerala will take a long time to recover from this,” says an official, on condition of anonymity. “Agreed that it is unprecedented, but that only indicates the dire need for a long-term comprehensive plan. The worst may never occur, but we nevertheless have to be prepared for it. A disaster management plan for dam failure should be in place. The Western Ghats, an eco-sensitive mountain range, is prone to degradation. Further, landslide-prone zones, mostly those receiving over 20 cm rainfall and at a 30-degree gradient, can be easily identified and people relocated,” argues A.V. George, disaster management expert. In the wake of the tragedy, there have been calls to implement the Madhav Gadgil Committee report on the Western Ghats. The 2011 report had recommended the zoning off of ecologically fragile areas, with no developmental activity allowed in areas classified as falling under zone 1. But it was vigorously opposed in Kerala, with detractors saying that it was impractical to do so in a densely populated State. Back in the Periyar basin, Purushan Eloor, research coordinator for the committee against river pollution, asserts that the unfolding disaster has been waiting to happen, thanks to naked encroachments even on the floodplains of the river. He blames the local bodies for allowing private encroachments, that too when a public property, a restaurant owned by the District Tourism Promotion Council, was razed on the orders of the Supreme Court four years ago. “For quite some time we have been demanding the removal of toxic waste stockpiled in the industrial units, which were allowed to be set up along the Periyar’s banks in violation of environmental norms. Unless we correct these anomalies on a priority basis, we are in for greater disasters, given the increase in the frequency of abnormal spells of rain,” he warns. K.G. Tara, former head, Disaster Management Centre at the Institute of Land and Disaster Management, Thiruvananthapuram, says the time has come to carry out floodplain zoning on a war-footing. She had once proposed a comprehensive insurance policy — at zero premium or for a nominal fee — for poor families living in vulnerable areas. Had the proposal been implemented, it would have eased the burden on victims during this flooding. “The recent amendment to the Kerala Conservation of Paddy Land and Wetland Act which has eased the norms for the conversion of wetland for other land uses, would also prove disastrous, as paddy fields, even when left barren, would cushion the impact of flooding. Equally important is a policy to preserve the remaining hills and wetlands, as they serve as water storing systems,” she points out. Short interludes apart, the rain is still thundering down. Lowland and highland, cityscapes and villages, upmarket dwellings and migrant labour camps have all been hit and relief and rescue pouring in from all over. The rain has become a leveller.